I’ve always considered the gold standard of business credit cards to be American Express. Pulling out the Gold or Platinum card to pay for a lunch or book a hotel while with a client can go a long way to speaking of the quality of your business. I personally own the Blue Cash Everyday Card from American Express. I use it in every situation I can but I wonder what would happen if instead I pulled out Plum? 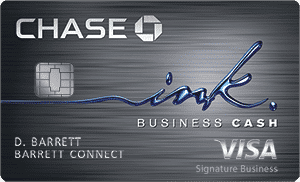 The Plum Card® from American Express is not your typical small business credit card. In fact, it’s not a credit card at all but a charge card. This means that every purchase you make MUST be paid off within the grace period. Otherwise you jeopardize your account standing. There is no advertised interest rate because American Express expects your balance to be paid in full each and every month. If it’s not, The Plum Card® from American Express offers the added benefit of allowing for payment 60 full days after your billing statement. Nearly all other charge cards require payment within the first month of the billing cycle. The other fairly substantive benefit of The Plum Card® from American Express is that if you pay your balance early, you’ll receive a 1.5% cash back bonus. For example, if you charge $10,000 to your card in a month and pay it off within the first 10 days your statement is due, you’ll receive a $150 cash bonus in your account. Between days 11 – 60, no bonus will be earned. Essentially, this means this charge card includes a 1.5% cash back bonus. So long as you have the funds to pay it off early every time. Free Employee Cards – If you own a small business that has many employees, they each can get their own business card so you can track their expenditures. The 1.5% early pay discount applies to everyone, so you can take advantage of paying back those purchases early as well. No Foreign Transaction Fees – Any purchase made outside of the United States will be converted to the host countries currency, free of charge. The typical foreign transaction fee is between 2% and 3% so for high dollar spending abroad, this can be a big money saver. No Pre-Set Spending Limit – Remember that The Plum Card® from American Express is a charge card, not a credit card so you have no pre-sent spending limit. This does not mean that you can walk up to Boeing and purchase a jet, but it does mean that most high dollar transactions are approved if your account is in good standing. And the long you maintain your good standing, the more American Express will generally allow you to charge. Car Rental and Damage Insurance – When you use this charge card to purchase a rental car, you’ll be covered for most damage caused (should you cause damage). I can actually speak to experience on this topic, and I incurred $4,000 worth of damage on a vehicle I rented a few years ago. Sadly for me, I did not read the provisions carefully enough because I rented a pick-up truck and the terms clearly state NO TRUCKS. $4,000 vanished from my wallet. So what will all of these benefits cost your business? The annual fee on The Plum Card® from American Express is $250 but that fee is waived for the first year. This gives anyone the opportunity to try this card for a full year. Use it’s unrivaled purchasing power to manage your business expenses. Then, make the decision whether or not this is the business card you’ll be using for the long haul. The Plum Card® from American Express includes a somewhat short list of top shelf benefits. And for a charge card to offer any kind of rewards program is unique. An early pay bonus of 1.5% cash back puts it in line with most other cash back credit cards. When you consider the ability to make tens of thousands in purchases each month, this is one of the strongest charge cards for small businesses on the market today.